They use it for a particular show appearing on our telly-boxes which has come back this week. One featuring teams of workers. One featuring the selling, marketing and production of a bunch of different products. One featuring a bloke with a beard. It’s the return of the apprentice. Now, in previous years I used to get quite excited about the apprentice coming back however after watching the trailer a few times I’m finding myself less compelled to watch. “Why’s that Chris?” I hear you say. I just don’t like many of the candidates attitudes. Now I know you only get a snapshot in the trailer. I also know that they are primed and nudged to act a certain way. I know it’s only a TV show. However for many it’s their insight into the world of business. I’ve learned that a collaborative attitude is way more powerful than a competitive attitude. Don’t get me wrong, I am competitive…a visit to my house during a game of Cluedo will illustrate how serious I get about winning! However I’ve found that working together, always treating people like friends and not challengers and working out ways to see how I can help someone is usually a smart way forward. The ethos of the apprentice seems to be to win. But win in spite of everyone else. I get that as a competition the apprentice might have to be this way. However my business reality that if you choose attitude where you try to find solutions designed to help everyone win some interesting, exciting stuff happens. I’ve learned that, erm, you never stop learning. Like many in their 20’s I went through a stage of my life where I was thought I knew it all. The reality is that many of us go through this stage of our lives but it’s only when we accept that we don’t we really start to learn. On the apprentice trailer (and this is similar to every year) it shows a bunch of people who believe they are absolutely certain. Whilst confidence is an absolutely positive trait understanding that there’s always more to learn has worked for me. This has lead to learning more, which then leads to a desire to continue to learn. This continued education has been more of a boost to my life and my business in my 30’s than going through life with a “know it all” haze did in my 20’s. I suppose you could argue that the apprentice is a learning process and the candidates who thrive are the ones who do learn. So, why not start with some candidates who express the desire to learn in the first place? I’ve learned that a bit of humility ain’t a bad thing. I’ve already mentioned that I don’t see confidence as a negative trait however when confidence tips over to arrogance it’s a dangerous attitude. Arrogance is a one man (or woman) game. However on the apprentice trailer arrogance seems to be celebrated. Like you need to be arrogant to be in business. However as Cassie says to me “There’s a fine line between confidence and arrogance…and one you need to work to stay the right side of”. (as you can tell my wife is really smart). The apprentice shows us candidates who understand they don’t know it all. The apprentice shows us candidates who are confident but opening to learning new skills. The apprentice shows us candidates who are not automaton business robots but real people who we could relate to. Maybe it’s the journey from arrogance to humility, from “know-it-all” ness to “willing-to-learn” ness, from competitive to collaborative which makes the show so interesting. Maybe it just wouldn’t be as popular without the initial caricatures being slowly (and sometimes humiliatingly reduced into the winner (who normally comes out of the show quite well). Collaboratively ways learning and with a touch of humility. The 3 reasons why professionals shouldn’t ignore social media. As a business we use a range of different social media tools to get our content out to our readers. We use an online tool called Buffer. You can connect this to all of your social media websites (Twitter, Facebook, LinkedIn ect…_ the each morning your top up x amount of posts which can be anything you like and buffer will send these out throughout the day. Therefore it automates the posts you want to put onto your social media sites. We also use Hootsuite, which is an online social media management system where you can access your multiple social networking accounts from one web-based dashboard. From here you can see what people are saying and help you to respond instantly, you can also automate comments and links to be posted on each social network that it is connected to. Below you will find the script that I used for the presentation video at the top of this page. Hi. My names Chris Daems and what I’d like to do today is talk about using social media not from a position of a social media expert, or from the perspective of a big corporate, but from the perspective of a financial planner and small business owner and some of the things I’ve learned about using social media to attract new clients, build professional relationships but also connect with people I can learn from. Firstly, I want you to know that social media can be beneficial for your business. Secondly, I want you to feel that you need to explore the opportunity this medium gives you to explore your business further. Thirdly, I want you take some of the things we talk about and give you some clear action you can take in order to make these tools work for your business. But before we do that let’s cover the reasons why financial advisers and professionals say they don’t use social media. Firstly many say it’s pointless when actually the power of social media if used correctly is incredibly powerful. Secondly, many say they don’t know what to do. However I’m sure the other people will give you plenty of guidance on how to make use of some of the tools available to use social media effectively. However the one thing I’d suggest is that it is way easier than you think. Firstly whilst social media is a great way to get your message out….it’s also a great way to learn. There’s some people I’ve connected with on social media who have changed the way I market and communicate my business, given me the opportunity to improve some of my business practices as well as pointing me in the direction of some fantastic resources. So, although social media is really useful for communicating your message it’s also great to build relationships, learn from others and collaborate. You wouldn’t have heard me say this 4 years ago….but people I’ve met at events, connected with online are now professional partners of mine. Secondly let’s talk about influence. Firstly, let me check how many of you have read this book? I firmly believe that this book is a must read for anyone running a business. The reason for this is that it talks about a number of things you can do which improve your influence within a particular profession or market. You can show your authority by publishing articles which show you’re the expert in your field. 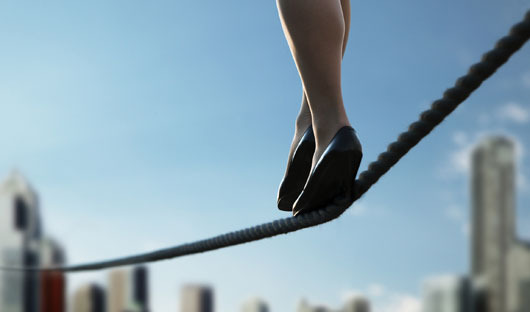 You can show how reliable and consistent you are by doing this regularly. You can build relationships where most of your audience like you by showing a bit of what makes you, you. Once your business is a magnet it enables you to attract clients as opposed to having to go out and search for them. What I want in my business is both my corporate and private clients to find me, contact me (either through a professional introduction or directly) and ask to work with me. I also want to be able to start to show my clients even before we’ve ever met that we’re the business they want to deal with. The fact that we now attract clients and don’t go out looking for them gives us an advantage when we’re talking about how we work, how we’re paid and whether they want to work with us as they’ve usually quite close to deciding that they want to work with us before we’ve even sat down. It also enables to attract journalists which allow us to increase our profile and other professionals we can partner with. Now financial planners and professionals use social media in loads of different ways…. However I firmly believe that the key to getting authority and helping people understand enough to like you and to show that you’re consistent enough to be trusted is to deliver content. I was having a chat with my 10 year old daughter and her mate the other day and talking about the power of delivering content online…. When I was growing up….advertising on the telly, or on radio, or even in their local paper cost money. Now we’ve all got access to our own TV station (via Youtube), or Radio station (via podcasts) or Newspapers (by the ability to write blogs). The reason is that she lives in a world where that’s how she gets her content. But she’s not alone…It’s rare that I buy newspapers as I rely on the web. I listen to a lot of radio but mainly online….and all the telly I watch is on demand. and if our clients aren’t doing it now (and I know that many of mine are) they’ll be doing it more in the future. Since I’ve started to do this (and we’ve produced video and audio content too) I’ve found I writing is the medium that works for me. However regardless of what medium you choose there’s a few things which are really important…. Use your own ideas to create unique content…My blog entries are unique. I’ve recently managed to include Greek and Chinese philosophy, Social Psychology and Investment Theory all the way to Barry Manilow, The 80’s show “The A Team” and the Delorean from Back to the Future. Now I’m not suggesting your content should include any of that….but it will get an audience if you make it unique enough for people to come back time and time again, even if it’s just to see what you’re going to write about next. Also, and this is something which is really important (which actually I need to do more of) is ask questions of your audience. 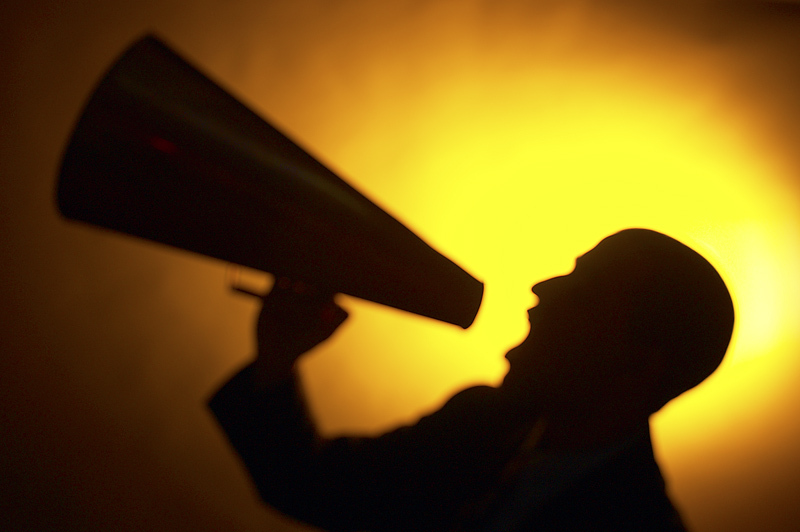 When you write an article, or produce a video or podcast make sure there’s some sort of call to action at the end…. That might just be for the reader to ask themselves a particular question although sometimes it might be to get in touch with a query….but try to use a call to action whenever appropriate. So, when I first started the business we built a portfolio of clients through traditional networking. A few days every week I was attending networking events. But I was finding that although I was building some decent connections. A lot of the time, people were so busy worrying about their own pitch, or eating their breakfast, or chatting that they weren’t listening. So one day, I thought that there might be a better way to do this and I started to write content for the business and spread it out over the web. Now because of that we started get an audience, all of who were taken the time to read our content. However I nearly gave up as the audience we had I could count on one hand! But I persevered and carried on writing and we started to see the audience build from a handful to tens to hundreds until finally we now have thousands of people visiting our sites regularly every month, regularly appearances in the press and both corporate and individual clients us working to work with us. So we know that social media if used correctly can be an incredibly powerful tool for our business. Thanks for listening any questions. Speaking, Showing off and my upcoming events. One of the most fun elements of my job is the opportunity to present at events. …however in reality I’ve got a sneaking suspicion a lot of the appeal in speaking is that appeals to the “show off” in me! At the first one, for financial advisers and planners, I’ll be talking about how social media can help financial planning practices (something we’ve used in our business to decent levels of success). The event, run by Panacea and is happening in Canary wharf, will contain some great speakers (and me!) who will share their experiences with social media and explain why it is such a powerful tool for any business, but why it’s particular powerful for financial firms. There’s limited availability left on this one, so if you need to understand how you’re business is going to cope with the shift you need to make to comply please book now. For the majority of my career I’ve been employed. However as I write this I’ve been running a business for a total of 3 years, 7 months and 22 days. It seems like yesterday but weirdly it also seems like I’ve ran my own business for a long time. It’s been a challenging, frustrating and worrying time. However it’s also been the most exhilarating, dynamic and interesting period of my life so far. In short, although it’s not easy…..I love being in business! It’s also nice when your hard work is recognised. So imagine my surprise when I received an email late on Wednesday evening. I was still at my computer finishing off a piece of work when I received an email from a business connection and friend of mine. The first line was, at the time, quite cryptic…. Initially the line made me a little worried….I mean, the last time I’d heard or read anything similar to that line was directly after I’d found out the news about Cassie being pregnant with Sophie! Whilst I was sure that I wasn’t going to be a dad for the third time my friend had got my attention. I had, at ten thirty on a Wednesday night, to find out why I should be congratulated..
It’s nice when your hard work and efforts are recognised and rewarded. We do try to be innovative as a business and think we have a fresh approach in a number of ways. It’s also nice to be recognised individually. I’m not sure about you but there have been plenty of times, working late and alone, you do wonder…. You wonder whether anyone knows or cares. You wonder how to move and develop your business. You wonder whether you’re making enough of a positive impact in the world. I’m not denying it’s nice, in the form of being nominated for an award, to get a little pat on the back for the hard work you put in. I’ve taken a look at some of the other businesses (and individuals in the ‘real life entrepreneur category’) who are finalists and I’ve got to say the standard is incredibly high. I’m attending the awards event at the end of June, and I’m sure I’ll enjoy it regardless of whether I win, lose or draw. I’m sure I’ll get to celebrate the successes of SME businesses, meet some interesting people and build some new relationships. ‘The Apprentice’ and why boasting isn’t as easy as it looks…. So, the Apprentice is back! and I, for one, am excited It’s an almost perfectly constructed bit of reality TV and I find myself each and every year being fascinated by the antics of Lord Sugar and co. both in and out of the boardroom. It’s also one of the shows that I will also take the time to watch. I don’t know about you but I’m increasingly finding that when I weigh up watching most shows or alternatively, doing something more exciting instead, I’m finding that more and more I’m deciding to do the latter. I don’t know whether that’s a reflection on my changing attitude or a decline in the overall quality of UK television but I’ll let you be the judge! Every year the first show always starts with similar, but slightly different, comments (boasts?) from the contestants. We’re now on the 9th series in the UK and I’m assuming some of this years prospective apprentices have seen the show before. I’m also assuming that they intentionally say something which they believe will get Lord Sugars attention. "I take inspiration from napoleon...I am here to conquer"
"I just feel my effortless superiority will take me all the way"
"I will do anything to win..cheating, manipulating..I'll do it!" Now I’m sure you know as well as I do that arrogance, dishonesty and selecting a one armed war loving Frenchman as your role model are not traits which, usually, get you very far in business. However we (and the candidates) know that making ridiculous and outlandish claims at the start seems to increase your chances of being involved in the apprentice in the first place and when the tasks start ‘the ones who can’ and ‘the ones who just tell everyone they can’ soon become apparent. I wrote last year about how these outlandish statements used to annoy me however I’m increasingly taking the initial quotes with tongue firmly in cheek and actually enjoying them as unintentional comedy gold! They even got me thinking, even though I’d never enter the apprentice…could I come up with some apprentice boasts which are better than the ones on the TV show. I want you, in the comments box below, to leave me your best (completely made up) Apprentice Boast! 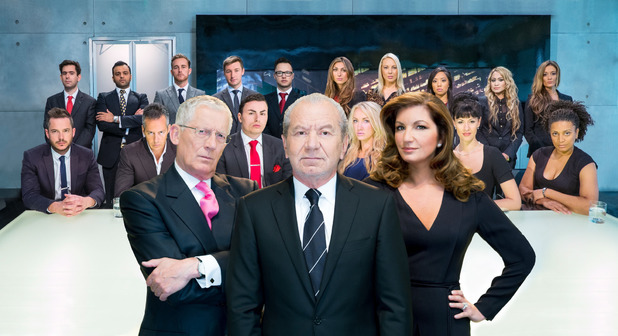 Also…share with me your favourite apprentice boast from either this series or any of the previous series. Every business sector and profession has it’s fair share of experts and specialists. In my own sector (I run a financial planning practice) there are companies who specialise in helping our sort of business do a range of things including among others market ourselves, provide technology to support what we do for our clients, improve our processes and engage on social media. However whilst I fully understand the importance of these businesses selecting a specific niche and working within this (a great piece of advice for any business and something within our business we’re focusing on far more). I also appreciate the fact that working with businesses previously with similar sort of services to ours might help as it could potentially help them understand what we need. However I’ve found that recently, much of my inspiration and fresh ideas comes from individuals who understand either nothing or very little about any sort of financial services business. For me that’s a good thing! Let me explain….I’m really proud of being part of the financial planning community. There’s some great people in that community with a wealth of knowledge and a wide range of expertise. I’ve also improved, and continue to improve, both my business and my life from engaging with people within ‘my’ community. However the companies and business people I admire and respect the most have nothing to do with financial services. They are firms and individuals who do something different, who have shaken things up and have challenged the status Quo. They are firms and individuals who have focused not on themselves or their profession…but on the wants and needs of their clients and customers. These are firms who understand the need to continue to innovate and change. Who understand the importance of a unique voice (for them and their business) in a world where everyone has a voice but most of them sound way too similar! So, whilst I’ll continue to respect and listen to the ‘industry experts’ I respect, I believe that any businesses, if they truly want to innovate and do something different, shouldn’t look at what their own profession or sector is doing but instead look at the firms who are, one by one and bit by bit, changing the world by doing something different, and therefore truly spectacular regardless of which sector you’re in…. So, with this in mind, tell me what individuals and businesses inspire you? Are they mainly within your sector or do they tend to be outside of your own profession? Where do your most fresh and innovative ideas come from? I’ll be sharing some of mine in a later blog post….but in the meantime I look forward to hearing from you! is ‘Why’ more important than ‘How’ or ‘What’? Let me start with a question. Why do you do what you do? Why, out of all the potential jobs and careers available you could have worked in, do you choose to spend your valuable time doing your job or running your business in your sector of choice? It’s a question we rarely ask ourselves. It’s also a question we rarely get asked. After all, we’re often asked what we do. We’re sometimes asked how we do it. It’s unlikely that recently we’ve been asked (or asked ourselves) the reason why we do what we do. However the more I think about this question the more I think that the ‘why’ is far more important than either the ‘what’ or the ‘how’. Whilst there are businesses out there which are unique enough not to have significant competition, it’s likely that you work within a profession or industry where you will have a degree of competition. So what makes your business stand out? Is it ‘what you do’….no! Is it ‘the way you do it’…possibly however your systems, processes and techniques are likely to be similar to other companies within your sector. I’m going to write a separate blog post I’m going to explain my why’s….but for now I’d like for you to share with me, not what or how, but why you do what you do? and when communicating within your chosen profession do you talk about the why’s? As ever I’m interested in hearing your thoughts. When I first started my business I had some grand ambitions. I wanted the business to be BIG. I dreamed of, one day, running a business which involved running teams with large numbers of people. I dreamed of big posh offices. I dreamed of an office with panoramic views over London. Since setting my business up my ambitions are still as grand as ever. However my initial perceptions of what a ‘successful business’ looks like has completely changed. You see my initial understanding of a ‘successful business’ came from my years of working in a corporate environment where some of the signs of ‘success’ were initially impressive but actually pretty superficial. 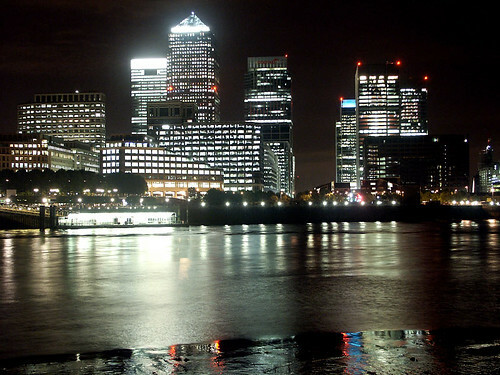 For a large proportion of my career I worked for a couple of large banking organisations. These companies have impressive head offices, put on some fantastic events for both their clients and employees and paid pretty good salaries (and, erm, Bonuses). However, as the last few years have shown, a few of these formerly well respected, large institutions have failed morally, financially and had their previously good reputations decimated. Also in a lot of the large financial institutions a degree of ‘creative accountancy’ and layers of unneeded complexity created a ‘smoke and mirrors’ culture and, in some instances, kept some of the problems hidden until it was almost too late. Since setting my own business up I’ve been lucky enough to work with a large number of business owners. On the whole these business owners have been successful, smart and have built profitable sustainable businesses. I love working with these people. Whilst our relationship normally starts with them approaching us requesting advice from our business, it continues with me learning just as much from them about the ‘fundamentals’ of running a business. I’ll talk about what I’ve learned over the last few years in a later blog…however one of the things that has totally changed my perspective on business….”Focus on Sanity, not Vanity”. I’d go further than that….High turnover and low (or no profits) especially when that money is spent on Posh glass offices, Offices with panoramic views over London, large teams of employees are all about Vanity. The profits your business generates, looking after your clients (as potentially the most powerful advocates of your business), building your team with the right individuals who share your values, enthusiasm and drive, putting effective systems to ensure your business is as efficient as possible and working both hard and smart seem to me like a more sane approach. It’s never been easier to start a business. It’s also as tough as ever to ensure a business is successful. I’ve found that by changing my perceptions of ‘what success looks like’ has enabled me to focus on what’s truly important to my business as opposed to being potentially distracted by superficial success. As ever this is just my opinion and I’m interested in knowing your thoughts. How do you define ‘success’? What do you focus on within your business? and, like me, has your perception changed over time?